Two workers of the College of Education, Akwanga in the Akwanga Local Government Area of Nasarawa State have reportedly died following the termination of their appointment by the authorities. 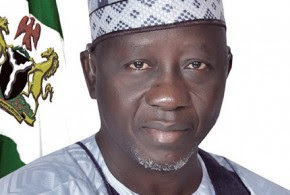 The Chairman of the Nigerian Union of Pensioners in the college, Mr. Patrick Oyunu, revealed this on Saturday while presenting his memo before a fact-finding committee set up by Governor Umaru Al-Makura to investigate the activities of the college from 2014 to 2017. Oyunu gave the names of the deceased as Joe Musa and john Chuga. He stated that their dismissal was illegal and unjust, noting that the families of the deceased were facing hard times as their children, according to him, had dropped out of school. A former examination officer at the college, Mr. Paul Madala, who was also dismissed, demanded to be reinstated, insisting that his sacking did not follow due process. The NUP chairman, in his presentation, also accused the management of the institution of selective payment of pensioners which he said was wrong.